The House Elections Committee chairman denied his committee a vote on comprehensive redistricting reform legislation. And he won’t guarantee a vote on the bill this session. Lawmakers spent two years in a study commission on redistricting reform. The end product is a bill to create an independent redistricting commission that would draw legislative maps. The maps would still be voted on by lawmakers, as required by the state constitution. Dozens of people showed up to a House Elections Committee hearing to support the bill. Only one person spoke against it, though committee chair Rep. Milo Smith (R-Columbus) dismisses that imbalance as the result of what he calls one group’s successful organizing. But when it came time for a vote, Smith announced there would be none. He says the bill is an unfinished product. “The heavy work is to be done by committee and that work hasn’t been completed yet,” Smith says. Rep. Chuck Moseley (D-Portage) questions why a committee vote needs to be delayed because of that work. 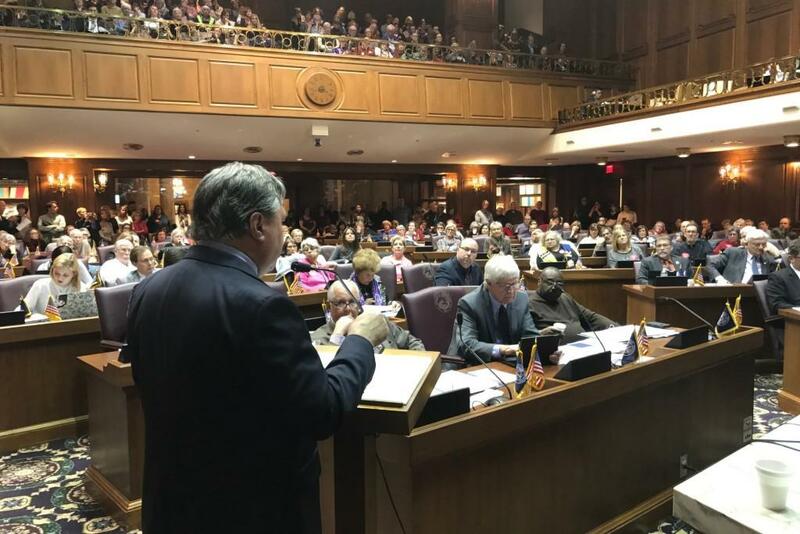 “I mean, if he’s interested in seeing amendments to the bill, what better place to do that than on the full floor of the House and on the full floor of the Senate?” Moseley says. Bills must pass out of committee by next Tuesday in order to advance this session. Smith won’t say whether he’ll have another committee hearing by then.